As a self-governing body, the orchestra selects the conductors with whom it works. At some stages in its history it has dispensed with a principal conductor and worked only with guests. Among conductors with whom it is most associated are, in its early days, Hans Richter, Sir Edward Elgar, and Sir Thomas Beecham, and in more recent decades Pierre Monteux, André Previn, Claudio Abbado, Sir Colin Davis, and Valery Gergiev. Since 1982 the LSO has been based in the Barbican Centre in the City of London. Among its programmes there have been large-scale festivals celebrating composers as diverse as Berlioz, Mahler and Bernstein. The LSO claims to be the world's most recorded orchestra; it has made gramophone recordings since 1912 and has played on more than 200 soundtrack recordings for the cinema, of which the best known include the Star Wars series. Busby organised a meeting at St. Andrew's Hall, not far from the Queen's Hall. Invitations were sent to present and former members of the Queen's Hall Orchestra. About a hundred players attended. Busby explained the scheme: a new ensemble, the London Symphony Orchestra,[n 1] to be run on co-operative lines, "something akin to a Musical Republic", with a constitution that gave the organisation independence. [n 2] At concerts promoted by the LSO the members played without fee, their remuneration coming at the end of each season in a division of the orchestra's profits. This worked well in good years, but any poorly-patronised series left members out of pocket, and reliant on the LSO's engagements to play for provincial choral societies and other managements. 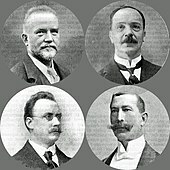 The proposal was approved unanimously, and a management committee was elected, comprising the four original movers and Alfred Hobday (viola) and E F (Fred) James (bassoon). Busby was appointed chief executive, a post variously titled "Secretary", "Managing Director", "General Secretary" and "General Manager" over the years. The orchestra made its first British tour in 1905, conducted by Sir Edward Elgar. Elgar's conducting was highly praised; as to the orchestra, Ernest Newman wrote in The Manchester Guardian, "Its brass and its wood-wind were seen to be of exceptional quality, but the strings, fine as they are, have not the substance nor the colour of the Hallé strings." The following year the LSO played outside Britain for the first time, giving concerts in Paris, conducted by Edouard Colonne, Sir Charles Stanford and André Messager. Richard Morrison, in his centenary study of the LSO, writes of "stodgy programmes of insipid Cowen, worthy Stanford, dull Parry and mediocre Mackenzie";[n 3] they put the Parisian public off to a considerable degree, and the players ended up out of pocket. In its early years Richter was the LSO's most frequently-engaged conductor, with four or five concerts every season; the orchestra's website and Morrison's 2004 book both count him as the orchestra's first chief conductor, though the 1911 Musical Times article indicates otherwise. Richter retired from conducting in 1911, and Elgar was elected conductor-in-chief for the 1911–12 season. Elgar conducted six concerts, Arthur Nikisch three, and Willem Mengelberg, Fritz Steinbach and Gustave Doret one each. As a conductor Elgar did not prove to be a big enough box-office draw, and after one season he was replaced by the charismatic Hungarian maestro Nikisch. Shortly after the beginning of the war the board of the orchestra received a petition from rank and file players protesting about Borsdorf's continued membership of the LSO. Although he had done as much as anyone to found the orchestra, had lived in Britain for 30 years and was married to an Englishwoman, Borsdorf was regarded by some colleagues as an enemy alien and was forced out of the orchestra. During the war the musical life of Britain was drastically curtailed. The LSO was helped to survive by large donations from Sir Thomas Beecham, who also subsidised the Hallé and the Royal Philharmonic Society. For a year he took the role, though not the title, of chief conductor of the LSO. In 1916 his millionaire father died and Beecham's financial affairs became too complicated for any further musical philanthropy on his part. In 1917 the LSO's directors agreed unanimously that they would promote no more concerts until the end of the war. The orchestra played for other managements, and managed to survive, although the hitherto remunerative work for regional choral societies dwindled to almost nothing. When peace resumed many of the former players were unavailable. A third of the orchestra's pre-war members were in the armed forces, and rebuilding was urgently needed. The orchestra was willing to allow the ambitious conductor Albert Coates to put himself forward as chief conductor. Coates had three attractions for the orchestra: he was a pupil of Nikisch, he had rich and influential contacts, and he was willing to conduct without fee. He and the orchestra got off to a disastrous start. Their first concert featured the premiere of Elgar's Cello Concerto. Apart from the concerto, which the composer conducted, the rest of the programme was conducted by Coates, who overran his rehearsal time at the expense of Elgar's. Lady Elgar wrote, "that brutal selfish ill-mannered bounder ... that brute Coates went on rehearsing." In The Observer Newman wrote, "There have been rumours about during the week of inadequate rehearsal. Whatever the explanation, the sad fact remains that never, in all probability, has so great an orchestra made so lamentable an exhibition of itself." Coates remained as chief conductor for two seasons, and after the initial debacle is credited by Morrison with "breathing life and energy into the orchestra". In 1931 Beecham was approached by the rising young conductor Malcolm Sargent with a proposal to set up a permanent, salaried orchestra with a subsidy guaranteed by Sargent's patrons, the Courtauld family. Originally Sargent and Beecham had in mind a reorganised version of the LSO, but the orchestra baulked at weeding out and replacing underperforming players. In 1932 Beecham lost patience and agreed with Sargent to set up a new orchestra from scratch. The London Philharmonic Orchestra (LPO), as it was named, consisted of 106 players including a few young musicians straight from music college, many established players from provincial orchestras, and 17 of the LSO's leading members. To try to raise its own standards the LSO had engaged Mengelberg, a famous orchestral trainer, known as a perfectionist. He made it a precondition that the deputy system must be abandoned, which occurred in 1929. He conducted the orchestra for the 1930 season, and music critics commented on the improvement in the playing. Nonetheless, as patently the third-best orchestra in London, the LSO lost work it had long been used to, including the Covent Garden seasons, the Royal Philharmonic Society concerts and the Courtauld-Sargent concerts. The orchestra persuaded Sir Hamilton Harty, the popular conductor of the Hallé Orchestra, to move from Manchester to become the LSO's principal conductor. Harty brought with him eight of the Hallé's leading players to replenish the LSO's ranks, depleted by defections to the BBC and Beecham. Critics including Neville Cardus recognised the continued improvement in the LSO's playing: "On this evening's hearing the London Symphony Orchestra is likely, after all, to give its two rivals a gallant run. Under Sir Hamilton it will certainly take on a style of sincere expression, distinguished from the virtuoso brilliance cultivated by the B.B.C. Orchestra and the London Philharmonic Orchestra under Beecham." Among the milestones on the orchestra's path to recovery were the premieres of Walton's Belshazzar's Feast (1930) and First Symphony (1934), showing the orchestra "capable of rising to the challenge of the most demanding contemporary scores" (Morrison). 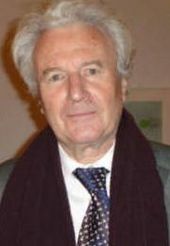 Krips left the LSO in 1954, and the following year tensions between the orchestral principals and the rank-and-file players erupted into an irreconcilable dispute. The principals argued that the future of the LSO lay in profitable session work for film companies, rather than in the overcrowded field of London concerts. They also wished to be free to accept such engagements individually, absenting themselves from concerts if there were a clash of dates. The LSO's board, which reflected the majority opinion of the players, refused to accommodate the principals, most of whom resigned en masse, to form the Sinfonia of London, a session ensemble that flourished from the mid-1950s to the early 1960s, and then faded away. [n 4] For fifteen years after the split the LSO did little film work, recording only six soundtracks between 1956 and 1971, compared with more than 70 films between 1940 and 1955. To raise the profile and prestige of the orchestra, Fleischman strove to attract top soloists and conductors to work with the LSO. After Krips's resignation the orchestra had worked with a few leading conductors, including Klemperer, Stokowski, Jascha Horenstein and Pierre Monteux, but also with many less eminent ones. Fleischmann later said, "It wasn't difficult to change the list of conductors that the orchestra worked with, because one couldn't do much worse, really". [n 5] A rising conductor of a younger generation, Georg Solti, began working with the LSO; Fleischmann persuaded the management of the Vienna Festival to engage the LSO with Solti, Stokowski and Monteux for the 1961 Festwochen. In August 1984 the orchestra's managing director, Peter Hemmings, resigned. For the first time since 1949, the orchestra appointed one of its players to the position. [n 6] Clive Gillinson, a cellist, took over at a bad time in the LSO's fortunes, and played a central role in turning them round. He negotiated what Morrison calls "a dazzling series of mega-projects, each built around the personal enthusiasm of a 'star' conductor or soloist", producing sell-out houses. In 1985 the orchestra mounted "Mahler, Vienna and the Twentieth Century", planned by Abbado, followed the next year by an equally successful Bernstein festival. During the second half of the decade major changes were made to the conductorship of the orchestra. In 2006 Daniel Harding joined Michael Tilson Thomas as principal guest, and the following year Davis retired as chief conductor and was appointed president of the orchestra, its first since the death of Bernstein in 1990. Davis was succeeded as chief conductor by Valery Gergiev. In Gergiev's first season in charge a complete cycle of Mahler Symphonies was given, with the Barbican Hall sold out for every concert. In 2009 Davis and the LSO celebrated 50 years of working together. In the same year the LSO took over from the Berlin Philharmonic as the resident orchestra at the Aix-en-Provence Festival, adding to a roster of international residences at venues including the Lincoln Center in New York, the Salle Pleyel in Paris and the Daytona Beach International Festival in Florida. In 2010 the LSO visited Poland and Abu Dhabi for the first time and made its first return to India since the 1964 world tour. The orchestra played at the 2012 Summer Olympics opening ceremony, conducted by Sir Simon Rattle. It was announced in March 2015 that Gergiev would leave the principal conductorship at the end of the year, to be succeeded by Sir Simon Rattle from September 2017, with an initial contract of five years. In February 2016, the orchestra announced that beginning with the 2016-17 season Gianandrea Noseda will be titled "Principal Guest Conductor" (joining the orchestra's other Principal Guest Conductor, Daniel Harding, who has held that post since 2006), and that Michael Tilson Thomas will be titled "Conductor Laureate" and Andre Previn will be titled "Conductor Emeritus." Some would claim ... that it is the most American of our orchestras, thinking no doubt of the Previn legacy, Bernstein's Presidency and Tilson Thomas's appointment. Others, looking back further to Pierre Monteux's reign, think it our most French orchestra, a quality nurtured by Previn and latterly Claudio Abbado. But what of their essaying of the Slavonic repertoire under Istvan Kertész, or of Mahler, whose idiom has been finely honed by Abbado? No, the LSO remains enigmatic, unpredictable and supremely individual. Of all the London orchestras the LSO seems to have more "personalities", more "individuals" and has given the solo world more than its fair share of "star" performers. As an orchestra the LSO has never been prepared to submit to one principal conductor for long (one thinks of Karajan in Berlin, Haitink in Amsterdam or Mravinsky in Leningrad)[n 7] but one of its greatest strengths remains its ability to attract fine conductors and dedicate itself wholeheartedly to creating a genuine performance. When Elgar recorded his major works for HMV in the late 1920s and early 1930s, the LSO was chosen for most of the recordings. [n 9] The LSO's pre-war recordings for Decca include Hamilton Harty's version of Walton's First Symphony, of which Gramophone magazine said, "There are one or two moments where the LSO are audibly hanging on by the skin of their teeth, but these moments simply add to the ferocious impact of the music". Since 2000 the LSO has published commercial CD recordings on its own label, LSO Live. Recordings are made live at the Barbican hall over several dates and are edited in post-production. Initially available on CD they have since been issued on Super Audio CD and also as downloads. LSO Live has published more than 70 recordings featuring conductors including Gergiev, Davis and Bernard Haitink. Gergiev's version of Prokofiev's Romeo and Juliet was BBC Music Magazine's Disc of the Year in 2011, and Davis's discs of Berlioz's Symphonie Fantastique and Les Troyens and Dvořák's Eighth Symphony were BBC Radio 3's top recommendations in comparative reviews of all available versions. Another milestone in the LSO's history in film music was in 1977 with the recording of John Williams's score for the first of the Star Wars films. Rider comments that this film and its sequels "attracted a new group of admirers and consolidated the period of film music activity for the Orchestra, which continues unabated to this day". The LSO also recorded other Williams film scores, including Superman: The Movie (1978) and Raiders of the Lost Ark (1981). ^ The orchestra was not the first to appear under this title: in the 1890s a group of about 41 players performed in London, Ontario, Canada, as the London Symphony Orchestra. ^ Frederic Hymen Cowen was better known as a conductor than as a composer. Charles Villiers Stanford, Hubert Parry and Alexander Mackenzie were British composers of the "English musical renaissance". Some of their works, notably choral music by Stanford and Parry, have retained a place in the repertoire, but little of their purely orchestral music is regularly played. At the time, they held considerable sway in British musical life. ^ Among those under whom the LSO played during the middle and late 1950s were lesser-known conductors such as Leighton Lucas, Alan J Kirby, Gaston Poulet, John Russell, Eugen Szenkar, Thornton Lofthouse, Foster Clark, Royalton Kisch, Thomas Scherman and Samuel Rosenheim. ^ Herbert von Karajan was chief conductor of the Berlin Philharmonic from 1954 to 1989; Bernard Haitink was chief conductor of the Concertgebouw Orchestra, Amsterdam from 1961 to 1988; Evgeny Mravinsky was chief conductor of the Leningrad Philharmonic from 1938 to 1988. ^ The LSO plays on the recordings of both Symphonies, the Violin Concerto (with Menuhin), the Cello Concerto (with Beatrice Harrison), Falstaff, In the South, and many of the lighter pieces including the Wand of Youth and Nursery suites. Wikimedia Commons has media related to London Symphony Orchestra.